The caste system still plays a role in university admission within India. The article describes a student in India who was applying to medical school. On the medical school application, it asked the applicant’s caste. She didn’t know which to choose. Neither did her father. It’s not like what caste you are comes up on a regular basis in India, but, in admissions, it still has its place. After fifteen minutes or so, her father ultimately told her to check the “general” box for caste. And because checking this box offers you no admission advantage, applicants with lower scores earned admission over her. So she ended up turning to dental school, rather than medical school (which she preferred). In the United States, Affirmative Action favors the underprivileged in our country. 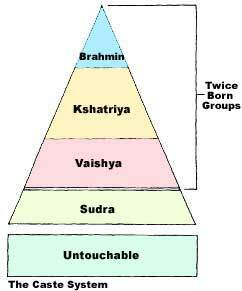 In India, the caste system seems to favor the privileged. Isn’t this ironic? Do you think one particular way is better? Do you think both are out of date and out of touch with our current society? Is there a way to improve either system? Let us know all of your thoughts on the matter by posting below! And, while you’re here, check out this post on Ivy League Admission and India. For the purpose of college admissions, this is wrong. ‘General’ refers to all castes which do not come under Scheduled Castes (SC), the Scheduled Tribes (ST) and Other Backward Classes (OBC). The SC, ST and OBCs are the ones who have traditionally been discriminated against, and includes the Dalits you have mentioned. If you belong to the SC, ST and OBC, then you have an advantage in entering into colleges (some seats are reserved for SC, ST and OBC students, and they also need to get lesser marks than students of the General category to get it). General refers to those castes who have so far NOT been discriminated against. Thus, with respect to college admissions, the underprivileged have an advantage.